Summary: Researchers report omega-3 fatty acids reduced brain damage in mouse models of stoke. Source: Columbia University Medical Center. Emulsion containing omega-3 triglyceride DHA also improved brain function. Findings from the study were published recently in PLOS ONE. EPA and DHA are bioactive omega-3 fatty acids that are found in oils extracted from cold-water fish. 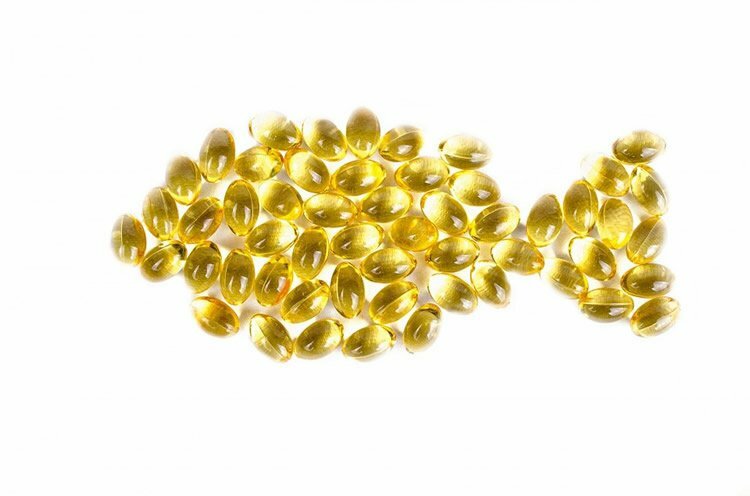 The CUMC researchers and other scientists have shown that these fish-oil fatty acids protect organs and cells in numerous ways after oxygen deprivation, reducing inflammation and cell death. “Our findings suggest that injecting the omega-3 fatty acid DHA after a stroke-like event has the ability to protect brain mitochondria against the damaging effects of free radicals,” said senior co-author, Vadim S. Ten, MD, PhD, associate professor of pediatrics at CUMC. The researchers also discovered that these mice had increased concentrations of DHA in their brain mitochondria, energy-producing structures in cells that can be injured by free radicals when blood flow is restored to the brain after a stroke. This process, known as reperfusion injury, is a common cause of brain damage following the oxygen and nutrient deprivation that occurs after a stroke. Neurosciencenews image is for illustrative purposes only. “Clinical trials are needed to determine if administering lipid emulsions containing DHA shortly after a stroke-like brain injury offers the same neuroprotective effects in babies and adults, as seen in mice. If successful, such trials could lead to the development of a novel therapy for stroke in newborns, children, and adults, addressing a major medical need,” said senior co-author Richard J. Deckelbaum, MD, CM, the Robert R. Williams Professor of Nutrition (in Pediatrics) and Professor of Epidemiology and director of the Institute of Nutrition at CUMC. The study is titled, “DHA but Not EPA Emulsions Preserve Neurological and Mitochondrial Function after Brain Hypoxia-Ischemia in Neonatal Mice.” The other contributors are Korapat Mayurasakorn, Columbia University Medical Center (CUMC), New York, NY; Zoya V. Niatsetskaya, CUMC; Jill J. Williams, CUMC; Hylde Zirpoli, CUMC; and Illiyan Vlasakov, Harvard Medical School, Cambridge, MA. Funding: Funding for the study was provided by the National Heart, Lung, and Blood Institute (grants R01 HL040404, and P01GM095467) and the National Institute of Neurological Disorders and Stroke (RO1 NS 088197). Columbia University Medical Center. “Stroke Like Brain Damage Reduced By Omega 3 Injection: Mouse Study.” NeuroscienceNews. NeuroscienceNews, 22 August 2016. Columbia University Medical Center. “Stroke Like Brain Damage Reduced By Omega 3 Injection: Mouse Study.” http://neurosciencenews.com/stroke-omega-3-brain-injury-4878/ (accessed August 22, 2016). Treatment with triglyceride emulsions of docosahexaenoic acid (tri-DHA) protected neonatal mice against hypoxia-ischemia (HI) brain injury. The mechanism of this neuroprotection remains unclear. We hypothesized that administration of tri-DHA enriches HI-brains with DHA/DHA metabolites. This reduces Ca2+-induced mitochondrial membrane permeabilization and attenuates brain injury. 10-day-old C57BL/6J mice following HI-brain injury received tri-DHA, tri-EPA or vehicle. At 4–5 hours of reperfusion, mitochondrial fatty acid composition and Ca2+ buffering capacity were analyzed. At 24 hours and at 8–9 weeks of recovery, oxidative injury, neurofunctional and neuropathological outcomes were evaluated. In vitro, hyperoxia-induced mitochondrial generation of reactive oxygen species (ROS) and Ca2+ buffering capacity were measured in the presence or absence of DHA or EPA. Only post-treatment with tri-DHA reduced oxidative damage and improved short- and long-term neurological outcomes. This was associated with increased content of DHA in brain mitochondria and DHA-derived bioactive metabolites in cerebral tissue. After tri-DHA administration HI mitochondria were resistant to Ca2+-induced membrane permeabilization. In vitro, hyperoxia increased mitochondrial ROS production and reduced Ca2+ buffering capacity; DHA, but not EPA, significantly attenuated these effects of hyperoxia. Post-treatment with tri-DHA resulted in significant accumulation of DHA and DHA derived bioactive metabolites in the HI-brain. This was associated with improved mitochondrial tolerance to Ca2+-induced permeabilization, reduced oxidative brain injury and permanent neuroprotection. Interaction of DHA with mitochondria alters ROS release and improves Ca2+ buffering capacity. This may account for neuroprotective action of post-HI administration of tri-DHA.